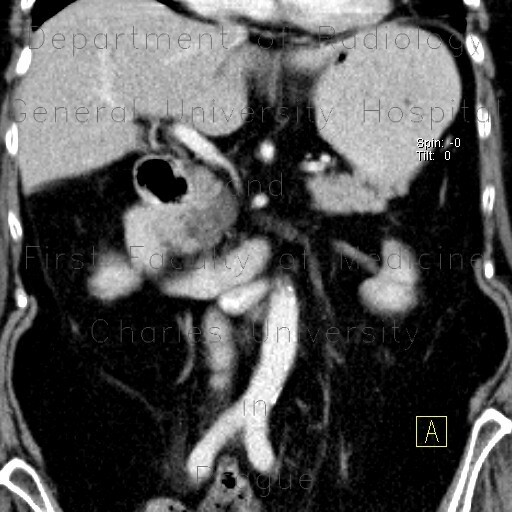 CT shows a lesion in the head of pancreas. It has low density and barely visible septa. MRI confirms multicystic nature of the lesion.